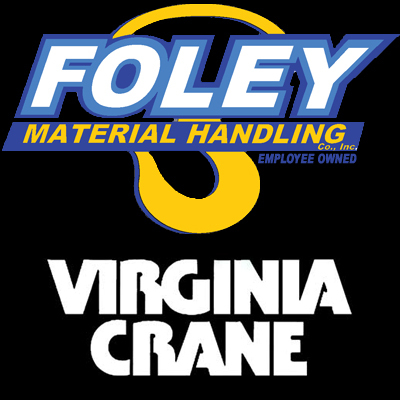 Foley Material Handing Company, Inc.
As a custom design specialty house, we have the advantage of integrating our extensive manufacturing, engineering and field technical expertise to effectively and seamlessly tackle the most challenging project. Our skilled field project management and technicians are fully supported by staff engineers, manufacturing, machining, electrical panel-building and automation experts. The present main building was initially built in 1986. Multiple expansions has brought it to the present 65,000 square feet plus approximately 3,500 square feet out buildings. In addition, in 2008 the company purchased an adjacent property with 6,250 square feet of office and warehouse space for customer service. All located on approximately 20 acres of land. 2002 – Complete renovation of a complex, multi-functional, hammer-head crane (please see attached). 2006 – Complete renovation of 660-ton Goliath Crane after hurricane Katrina in Pascagoula MS.
2016 – Totally automated two-level truck-body handling and storage system.